The petition points out that on October 6, the Election Commission of India notified elections to the assemblies of five states, without framing any guidelines in the spirit of the recent Constitution Bench decision. A PIL has been filed in the Delhi High Court seeking directions to the Election Commission of India to frame guidelines for advertising criminal antecedents of candidates in election campaign in compliance with the Supreme Court Judgment in Public Interest Foundation Vs Union Of India. The Bench headed by Chief Justice Rajendra Menon has agreed to hear the matter tomorrow. The PIL filed by Ashwini Upadhyaya, lawyer and BJP leader, states that Election Commission has not taken effective steps for implementation of the directions of the recent Constitution Bench judgment, which directed that candidates should disclose their criminal antecedents in the election affidavit. It was directed in the judgment that the details of criminal cases should be stated in bold letters in the election affidavit, and also uploaded in the official website of the party to which the candidate belongs. i) Each contesting candidate shall fill up the form as provided by the Election Commission and the form must contain all the particulars as required therein. At the present, Section 33-A merely mandates that the returning officer merely affix the affidavit with the candidate’s details “at a conspicuous place at his office”. In constituencies where millions of voters are involved, this is no longer a feasible option. It is imperative that this information is displayed widely, and onus must be on candidate seeking high Constitutional office to make a clean breast of things. The vacuum that therefore exists is in how the information of the candidate placed in his Section 33-A affidavit is actually communicated to the electorate, states the petition. Above details shall cover not less than 33% (20% if no case) of the space of the every Banner, Poster, Hoarding, Video or other graphics, and 33% of the time of each Audio recording. If the above are not adhered to, the Returning Officer shall reject the nomination of the candidate. In any event, such non-disclosure would amount to undue influence and the election would be liable to set aside. The above conditions shall be incorporated into Model Code of Conduct and Existing Election Orders and Instructions of the Election Commission up to the day of polling. The political party shall also publish the above information of its candidates at least thrice in leading Hindi & English News Channels between 5-9pm and thrice in widely circulated Hindi & English Newspapers before polling. [ECI will provide the list of News Channels & Newspapers based on TRP & Circulation]. The political party shall publish the aforesaid information on the Home Page of its Website immediately after nomination of Candidate till 5pm on the date of Polling. The Font shall be Bookman Old Style, Font Size - 20 and Line Spacing - 02. These directions shall be intimated to all registered political parties for strict adherence. Any violation of these directions would invite appropriate action by the Election Commission against the political party concerned as well. 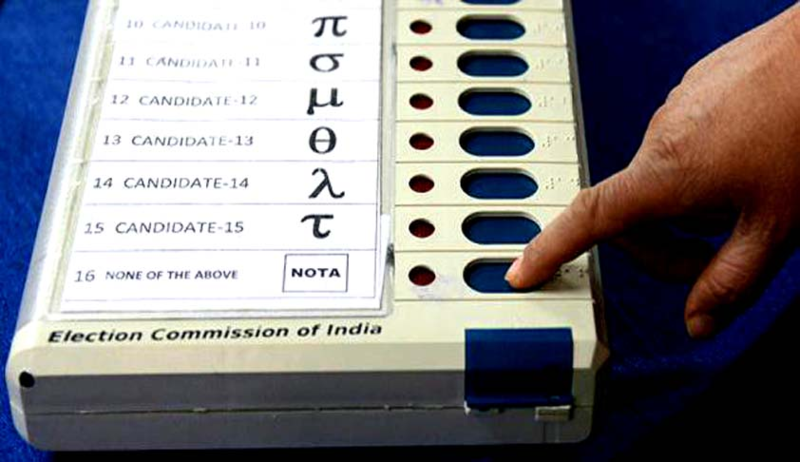 According to the petitioner, it cannot probably be presumed that the electorates of India are deliberately choosing those who are suspected criminals to be their legislative representatives. It could only be that true information of their backgrounds and the contents of their affidavits have not been made known to the public.